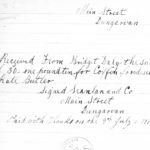 James Butler was born in Kereen (Aglish), Co. Waterford in 1878. 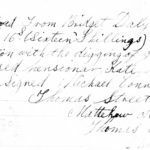 His family were poor– extremely poor. 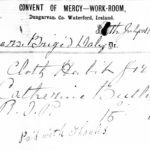 In 1891 his elderly father John, a labourer, died in nearby Dungarvan Workhouse. It was a place James and his family would come to know intimately in the years that followed. The young man’s efforts to provide his mother with “a house of your own” eventually led him to America, and the United States Navy. 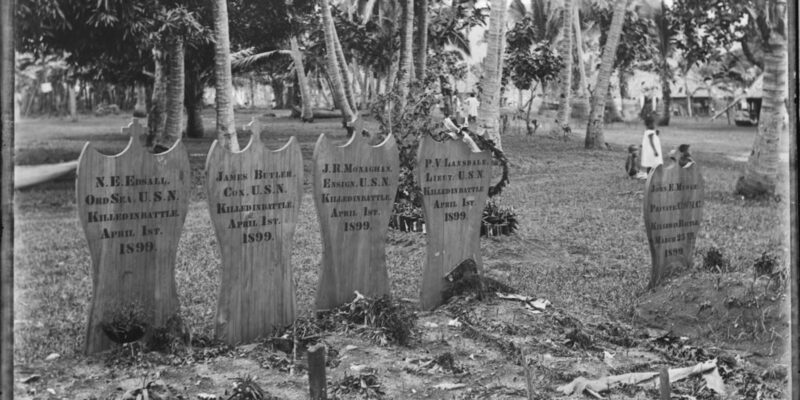 He made it through the Spanish-American War unscathed, but in 1899 the Imperial ambitions of the U.S., Britain and Germany would take him to a Polynesian island, and an early grave more than 9,500 miles from his boyhood home. 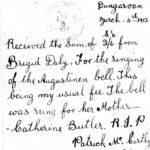 Through the 1890s, Kate Butler and her children were frequent visitors to Dungarvan Workhouse. Michael McKeigue, James Condon and David Wall later remembered that the family were “in a very destitute condition having had on several occasions and for considerable periods to seek relief in said Workhouse.” They would know, given that David Wall was a porter there, and James Condon was the teacher in the Workhouse School, where he remembered James Butler as a student. 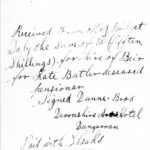 Kate herself would state in 1900 that “we are often very destitute, and have to seek relief in Dungarvan Workhouse, where we have been for a considerable time past and which we have only recently left.” As soon as was humanly possible, the Butler children went out to work. 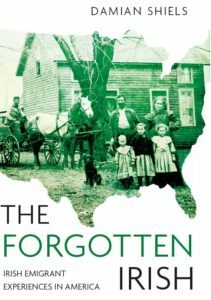 By 1896 James was employed as an agricultural labourer, raising enough money to get to the United States where he could seek to better provide for his family in Ireland. 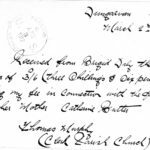 After his departure, he tried to send letters home when he could. 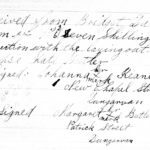 The first in his file was written from Queenstown, Cork Harbour (seemingly written in late 1897). 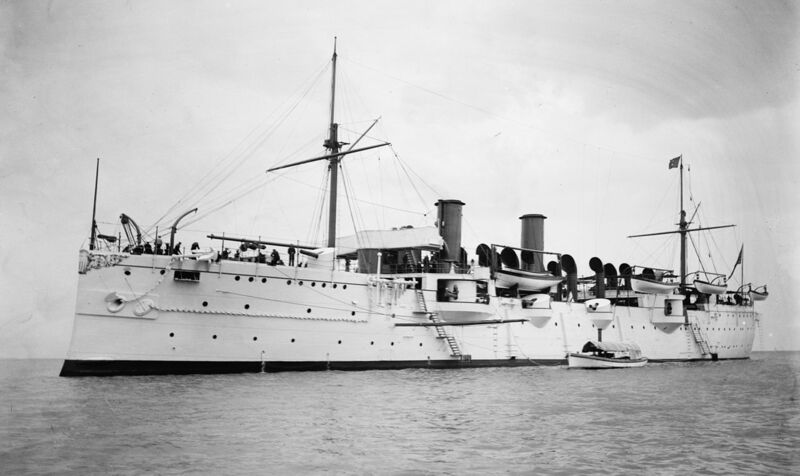 In March 1899 USS Philadelphia, and Coxswain James Butler, steamed for Samoa. 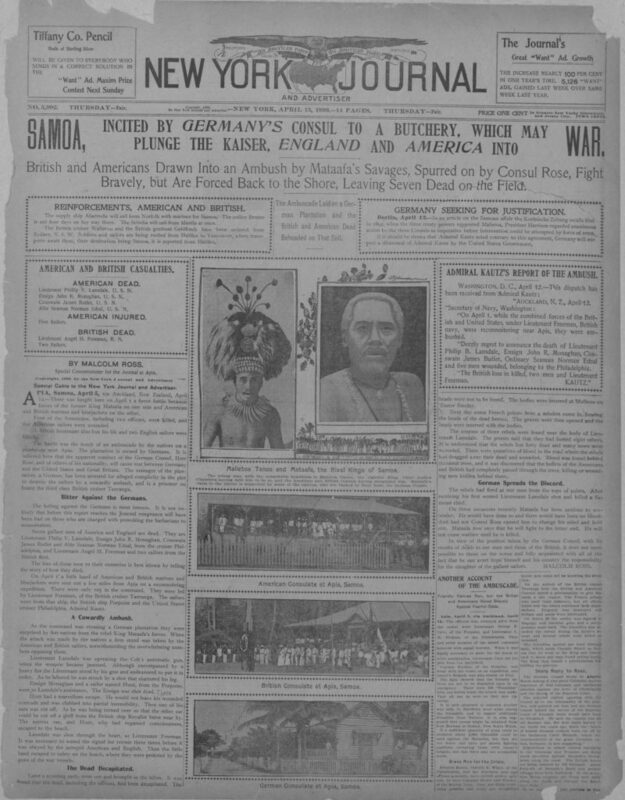 The islands were in the midst of an imperial tug of war between Germany, the United States and Britain, which in 1899 led to the outbreak of the Second Samoan Civil War. 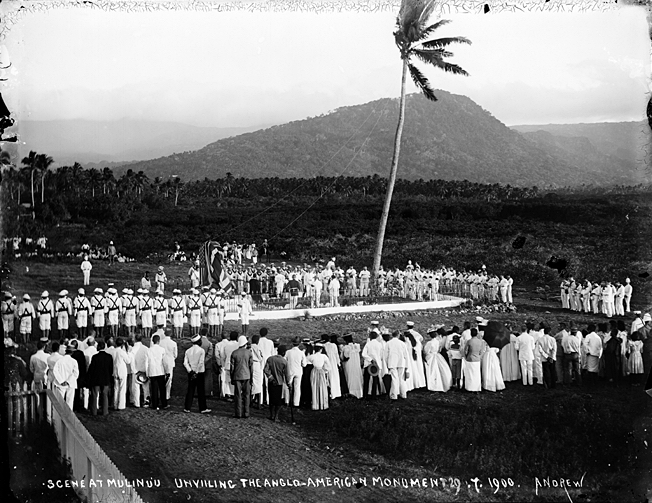 The stand-off manifested itself in the backing of rival claimants to the leadership of Samoa; the United States and Britain lent their weight to Malietoa Tanumafili, the son of the island’s previous ruler (the appointment of whom had also been characterised by Imperial interference), while the Germans supported Matā‘afa Iosefo (who enjoyed considerable local support). 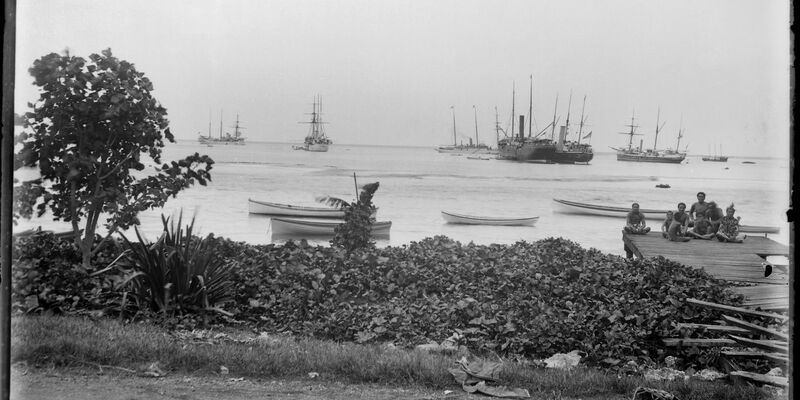 The Philadelphia was among the vessels that arrived off Apia (today Samoa’s capital) on Upolu Island to take on Matā‘afa Iosefo’s German supplied forces. 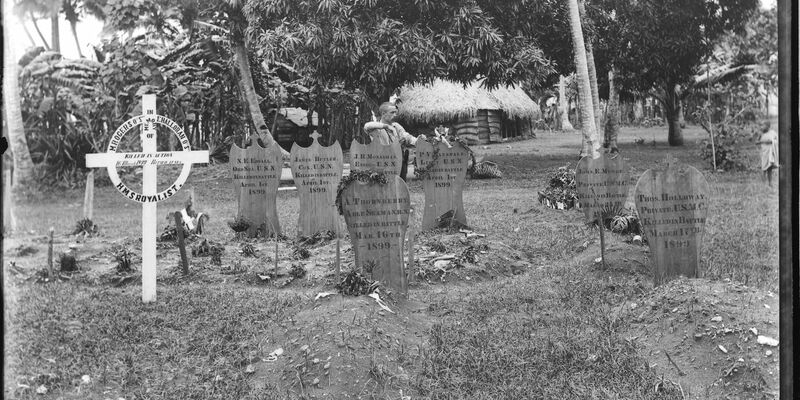 James was buried on 2 April near Mulinu’u. 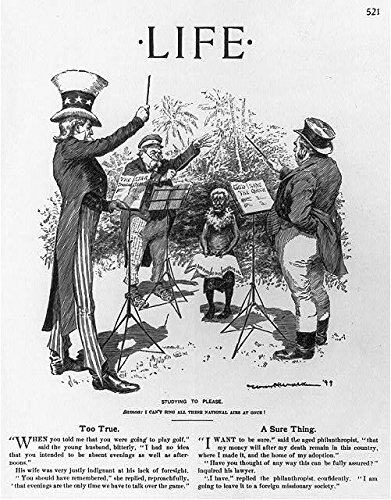 The war continued and ultimately resulted in the 1899 Tripartite Convention, which divided Samoa into a German controlled region (today Samoa) and an American controlled region (today American Samoa). 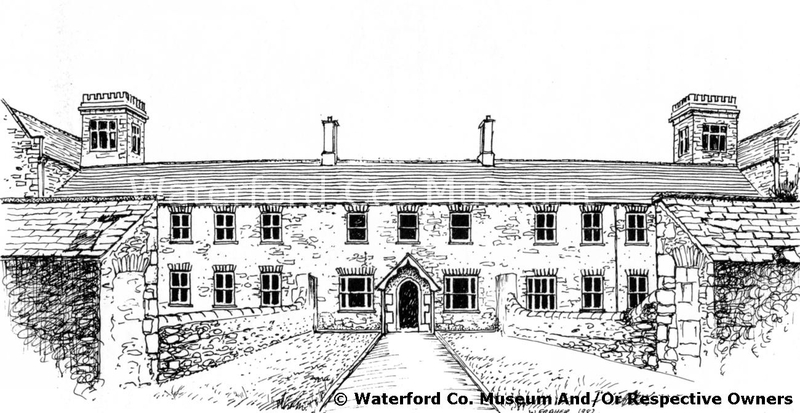 *I am extremely grateful to Waterford County Museum for permission to reproduce an image of Dungarvan Workhouse from their collections. 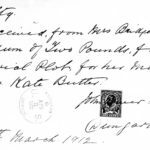 Also to the Museum of Applied Arts and Sciences, New South Wales for permission to reproduce the image of James’s grave. **None of my work on pensions would be possible without the exceptional effort currently taking place in the National Archives to digitize this material and make it available online via Fold3. 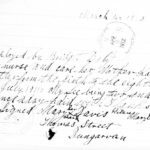 A team from NARA supported by volunteers are consistently adding to this treasure trove of historical information. To learn more about their work you can watch a video by clicking here. Richard Strader Collum 1903. History of the United States Marine Corps.